If you are a user of LG Optimus Black smartphone and are looking for best tutorial to root your phone in order to further enhance your experience then this is the tutorial you are looking for. After rooting your LG Optimus Black smartphone its warranty will get void. But, don’t worry you can reclaim them back by applying the official firmware update or unroot method. It is always advisable to root your smartphone. Because, the original life of the smartphone won’t begin unless you root your device. Once you root your device you will get the full administrative power to control your smartphone. You can install the custom recovery, custom ROM’s and many other apps which needs a root access. 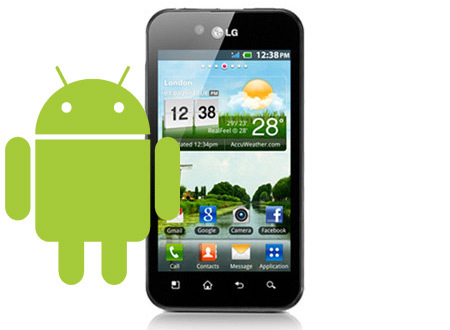 The given below procedure is applicable one and only for LG Optimus Black smartphone. So, don’t try this in any other android device. 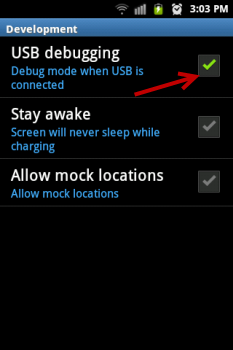 Kindly check your device’s model number by following the path “Settings>About Phone”. The first and foremost thing you have to do before try anything newly in your device is backup. First backup all your datas completely which was available in your smartphone. Because, rooting may wipe your datas completely. If you already have a backup of those datas you could easily recover them. 5. APN and MMS Settings : Note down the path “Applications > Settings > Wireless and Network > Mobile Networks > Access Point Names”. 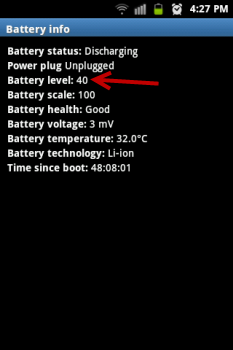 So, once you have backup everything next you are required to check whether your LG Optimus G smartphone is fully charged. Or else just check whether, it have minimum of atleast 70%. This is important because, if your device battery is low there is a chance of your device getting switched off. Then download and install the USB driver for LG Optimus Black in your PC. Finally, disable or uninstall all the antivirus suites in your LG Optimus black smartphone so, that it won’t interrupt the rooting process. 1. First download the SmartFlashTool_External.rar file and Superuser.zip file from here to your computer. 2. Then again download the patches as per your firmware version. 3. So, once you downloaded the all above mentioned file (except Superuser.zip file) to your computer then, extract the same in your PC at your convenient location preferably desktop location. 4. Now, copy the downloaded Superuser.zip file to the root of your SD card. (Please make a not that you are not supposed to extract this file. Just copy this in the root of your SD card). 5. So, once you have done everything as I have mentioned then turn off your device. 6. After that enter into the Upgrade mode by pressing and holding the Volume Up Button and insert USB cable in your computer [use USB port located at back if you are using desktop PC]. You will see S/W upgrade please wait while upgrading on your mobile screen. 7. Now, run the B_SmartFlashTool_Extern.exe file which is present within extracted folder (do double click). 8. Next, click on ROM copy D/L tab and then choose *.bin file for CP file and *.fls file for AP file. 9. Check everything once again. Now, click on the start to start the flashing process. Once it is successful, the device will be rebooted into the recovery mode. 10. Then perform the data wiping task. To do so, select wipe data/factory reset, then select Yes on next screen to confirm your action. Then wait for few minutes till the data wipe is completed. 11. Next, select the install zip from SD card, then select choose zip from SD card. Now, located the Superuser.zip file that you copied earlier and select it by pressing the Power button. Confirm the installation by selecting Yes-Install _____.zip on the next screen. That’s it the rooting process will start. 12. When installation is completed, go back to the main recovery menu and select the reboot system now to reboot the smartphone. To check whether your LG Optimus Black smartphone is rooted or not; just download and install the Busybox from Google Play Store, then find SuperSU app in your app drawer and open it. When you open SuperSU it will ask you to upgrade the SU binary, just press continue your phone will reboot once and you are done. Your, LG Optimus Black smartphone is now successfully rooted. Enjoy its benefits!